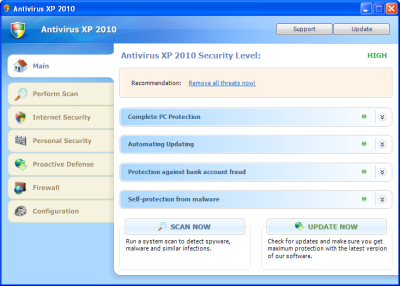 Win 7 Antispyware 2010 is the new Braviax family rogue (Antivirus Pro 2010, PC Antispyware 2010, Home Antivirus 2010, PC Security 2009, Home Antivirus 2009). On Windows XP, the rogue has a different GUI. On Windows Vista, it has a Vista based name. The rogue register itself to be run with .exe binaries. It looks at the processes in memory and stops legit security tools.